Along Stanley-Landmark Road in the Boise National Forest’s Bear Valley, it’s easy to miss an old, unmarked forest road that offers access to a hidden gem of a trail. 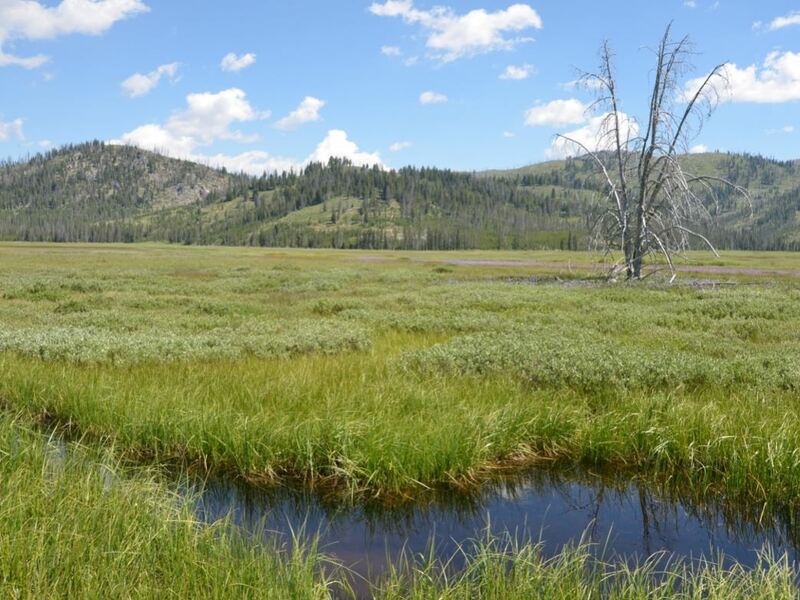 Venture down that route, which skirts a beautiful meadow at the base of the mountains in the Frank Church River of No Return Wilderness, and hikers are likely to see sandhill cranes, bluebirds flittering from tree to tree, and a tiny, rust-colored stream brimming with brook trout. Such is the glory of taking a chance on a lonely trail—one that is seldom used except maybe during big-game hunting season. And there are plenty of them to pick from in Central Idaho. In the summer, these trails see a fraction of traffic than that of other, more popular routes for several reasons: Either they’re not on the radar screen or listed in guide books, more difficult to find, not as well-maintained as those near resort towns, or wind through burned areas. 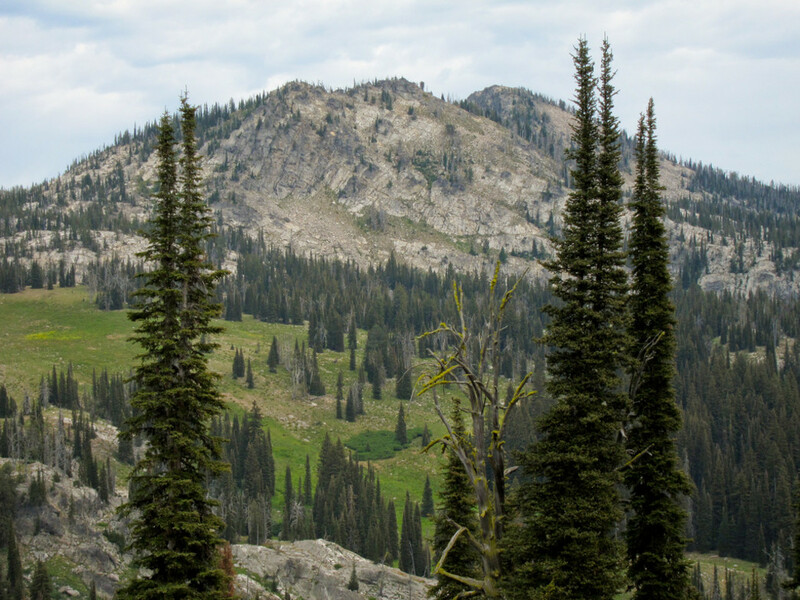 But hikers who make the effort to seek out these trails will savor their offerings—especially the solitude, which is a rarity on many Idaho trails during the height of summer. Here, some of the best-kept secret trails around Boise and beyond. Keep in mind that forest fires have been burning in many places across Idaho this summer, so check on conditions with local Forest Service offices before heading out. And be sure to bring paper maps for details on lesser-used trails. Burnt Log Trail: Forest Trail No. 75, east of the town of Cascade, is part of Idaho’s Centennial Trail, which goes about 1,200 miles from the Idaho-Nevada border to the Canada border. This remote, eight-mile trail, which is typical of lesser-used trails that disappear at times, winds through lodgepole and subalpine fir along the edge of the Frank Church-River of No Return Wilderness. It is difficult to locate the trailhead on the south end, but hikers can scout for the trail near Buck Mountain Campground, north of Landmark on Forest Road 413. The trail is accessed off Forest Road 414C. The area is reached by taking the Warm Lake Highway east of Cascade toward Landmark, which is a U.S. Forest Service outpost and airstrip. Cascade is about 90 minutes north of Boise on state highway 55. On the north end of the trail, hikers can access the trail by fording Johnson Creek in the same area of Landmark. Because of higher spring and early-summer flows, this hike is ideal to tackle in late summer. Use a Boise National Forest map to check out details. Gabe’s Peak Trail: As hikers reach the east end of this trail, they're treated to excellent views of the Council Valley, and farther west, the mountains in Oregon. A fun, half-mile side trip to the small Gabe’s Bathtub Lake is worth the effort. The “Bathtub” is a secluded spot whose shallow water is mostly filled with abundant lily pads and other vegetation. Early in the summer, the trail from the east side is often brilliant with blooming wildflowers, with cows grazing in the meadows. To reach the trail, also known as Forest Trail No. 136, is accessed on the west side by taking Forest Road 653 through Rammage Meadows north of Sage Hen Reservoir, about three hours north of Boise. The five-mile trail winds through predominantly Douglas fir and grand fir forests and ascends to the east and ends at an unmarked trailhead off West Mountain Forest Road 446, just south of the FAA radar dome. Bear Valley: Numerous trails branch out from Bear Valley, located off state highway 21 between the towns of Lowman and Stanley, about 90 miles northeast of Boise. The road offers wide-open choices for hiking lesser-used trails and roads, many of which lead into the Frank Church-River of No Return Wilderness. To get there, take Forest Road 579 from state highway 21 to Capehorn Summit, a couple of trails head northeast and southwest. It’s easy to find the summit, about three miles from the highway: Just keep an eye out for the large billboard with information about Bear Valley. If you continue on the Bear Valley Road (or Stanley-Landmark Road, as it’s also called), you’ll pass trailheads all the way to Deadwood Summit. Blackmare Trail: Trail No. 100 in the Krassel Ranger District is reached out of Poverty Flat Campground along the South Fork of Salmon River. From McCall, it is about 30 miles northeast on Forest Road 48 and then 13 miles south on Forest Road 674. McCall is about 102 miles north of Boise. The trail leading from the campground is open to motorcycles, but seldom used. It goes up and then branches so the trail user can go to Blackmare Lake on Trail No. 302, or continue on to Blackmare Summit on Trail No. 100. From the summit, hikers can take Trail No. 99 down to Kennally Creek Campground, or head northeast on Trail No. 98 to the Blackmare Lookout and eventually back down to Reed Ranch on the South Fork of the Salmon River Road. Duck Lake Trailhead: About 18 miles from trailhead to trailhead, Trail No. 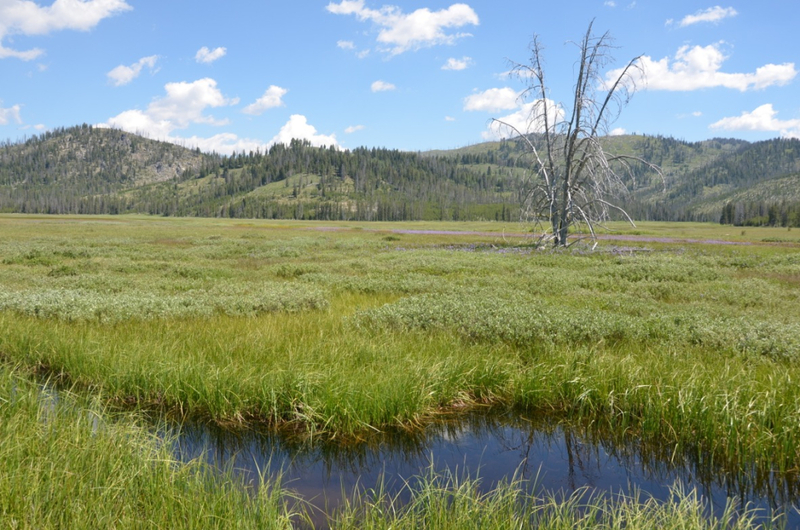 84 is located in the McCall Ranger District and goes from Lick Creek Summit east of McCall to Loon Lake out of Chinook Campground. While both trailheads and close-by lakes (Duck at the southern end and Loon at the northern end) are busy, the trail connecting them is rarely used. A hiker can expect to cross blown-down timber along this trail, but it does access some incredible country, following Loon Creek and passing through the South and North Loon Mountains and the Victor Peak areas. Johnson Creek Trail: Just getting to this trailhead is an adventure, thanks to the miles of required driving on a rough, rutted four-wheel-drive road (high-clearance vehicles are recommended). 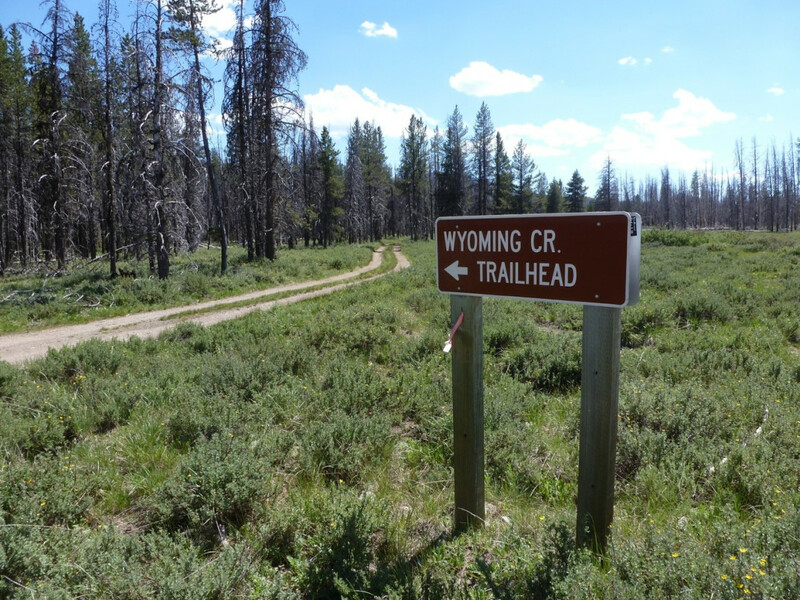 Access this trailhead by going through the Boise National Forest on the way to the outpost of Graham on the edge of the Sawtooth Wilderness. 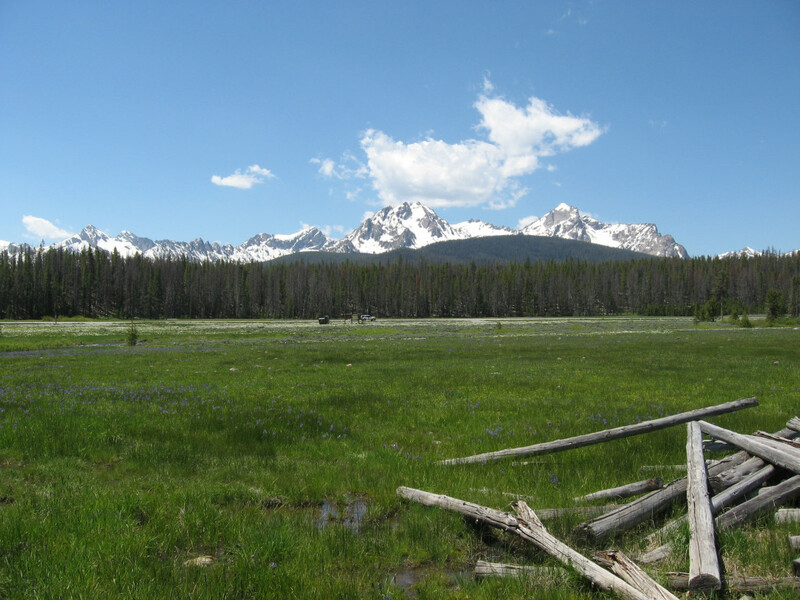 The trail goes into the Sawtooth National Recreation Area and Wilderness. The trailhead is located near the North Fork of the Boise River, where hikers will find two campgrounds and a U.S. Forest Service rental cabin. The area still shows evidence of the fire that burned in the late ‘90s and fire is still evident. The trail goes to Pat’s Lake in the wilderness, so don’t forget the fishing rod. From Boise, take state highway 21 past Idaho City for 18 miles to the Crooked River-Little Owl Road 384. Turn left and stay on Road 384 for four miles to Pikes Fork Road 312. Turn right and stay on Road 312 for 26 miles.